Deep Learning and AI initiatives are growing rapidly year on year and they’re only going to increase with new technology being discovered daily. From unmanned transportation and personal recommendations to early diseases detection and prevention; technology adoption is moving forward at an alarming rate. NVIDIA’s Leasing programme aims to help you to stay ahead of the curve by making the most powerful AI supercomputers more accessible. 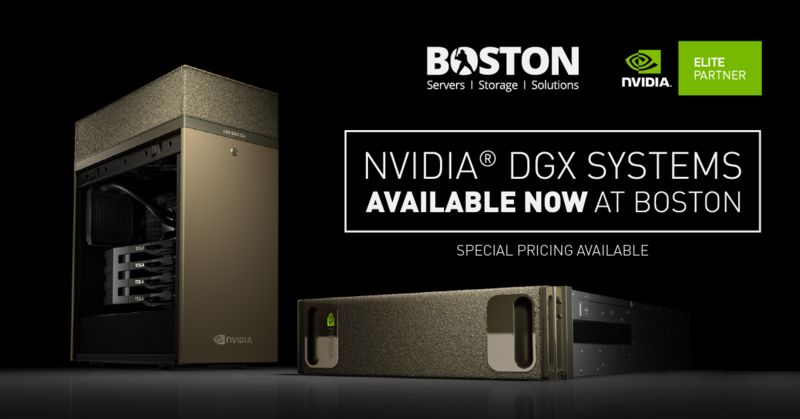 Test the whole DGX Range onsite or remotely in our Boston Labs for free!.